Which brings up that nearly two years ago I suggested CC-401 may be from an ’06 Celgene application. 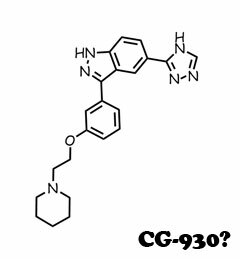 Right flavor wrong compound, the drawn compound is CG-930 (IND filed Dec 18, 2007 – claimed in Ph1 for fibrotic diseases). 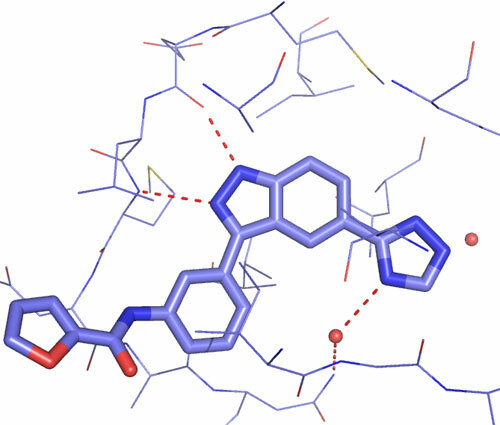 As NCI suggests CC-401 is an SP-600125 analog which incidentally is no longer on the CG pipeline. That’s life on the edge for yah. Celgene S.D. 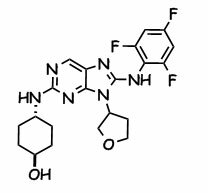 aka Signal has a series of v600e active thienopyrimidines that also appear to hit the non-kinase PDE4.